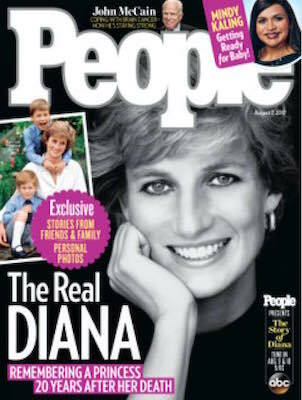 ABC and People magazine team for this two-night special featuring an exclusive U.S. interview with Earl Spencer, Diana's brother Charles. He will share stories about his older sister with home-movie footage. Virgin Group CEO Richard Branson is among friends of Diana appearing in the special. Charles and others will provide personal and touching stories of Diana set to archival and home movie footage of Diana from her childhood through her adult life. This rare opportunity to hear from many so close to the "the People's Princess" will share an intimate glimpse into her remarkable life. The Story of Diana: Part One" airs Wednesday, August 9 overnight at 1:07 a.m., and "The Story of Diana: Part Two" airs August 10 at 8 CT on The ABC Television Network. ABC13 will air the Houston Texans vs. Carolina Panthers NFL preseason game on Wednesday, August 9 at 6:30 p.m.